One of the most difficult conversations families face as their loved ones age is the potential need for hospice care. This discussion brings with it many emotional, financial, and logistical concerns, and for this reason it is helpful to think through a potential care plan before the need arises. As hospice provides the care and oversight needed to keep your senior loved one comfortable, home caregivers work closely with the hospice team to ensure that all of his or her needs are met, both physical and emotional. In-home caregivers serve an important role in supporting hospice care as they meet physical needs, provide emotional support, and protect quality of life. By working together, home care and hospice offer the full support needed to give your family peace of mind as your loved one ages. There are several reasons your family might choose to supplement hospice care with in-home care as you work together to meet the needs of your aging family member. Home caregivers provide physical care between scheduled hospice visits so that your mom or dad can maintain the best possible quality of life. 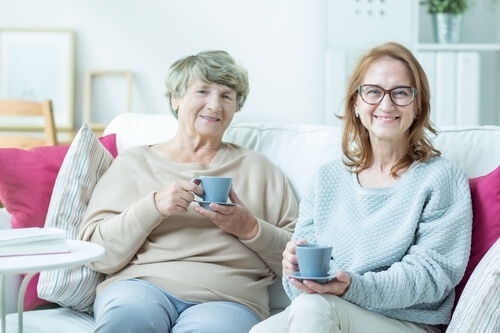 Many seniors and their families prefer home care as an alternative to a full-time care facility so that they can remain in the comfort of their own home. Because hospice does not provide 24-hour care, home care can come alongside between scheduled hospice visits to make sure your loved one’s daily needs are met. 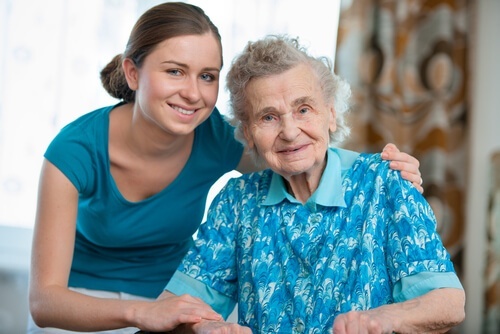 Hospice and home care work as a team to meet the ongoing needs of your aging family member. As health needs increase, continuous care is vital for physical and emotional support. By managing and monitoring symptoms, hospice makes it possible for seniors to remain at home with fewer complications. Home caregivers provide daily care and companionship, and can also track changes in your loved one’s health over time. Working together, hospice and home care can create the best possible care plan for your mom or dad as they manage their ongoing illness. During hospice visits, the hospice team can offer guidance to your primary caregiver about how to provide the physical support needed. They can also assist with the emotional aspects of end-of-life care. Over time, the symptoms of your loved one’s illness may progress. The role of hospice is to closely monitor and manage these symptoms, keeping your mom or dad comfortable and pain-free to the fullest possible extent. They will review the care plan with your family or hospice physician to be sure all treatments and medications achieve the goals you have outlined. When your loved one experiences changes in health, hospice will work with the physician to align treatment plans with physical needs. The emphasis is on keeping your loved one comfortable. Home care plays an important role in this regard by helping to monitor health conditions and provide insight into your family member’s day-to-day experience. As you create your care plan, it’s always a good idea to talk to your family member’s insurance company about which services they cover. Medicaid may also offer assistance with paying for care based on individual circumstances. Keep in mind that hospice can provide care for your loved wherever they live, whether that’s in a nursing home or at home. Home caregivers make it easier for your mom or dad to stay at home in familiar, comfortable surroundings, and they give you and your family the support you need as you face the challenges of end-of-life care.